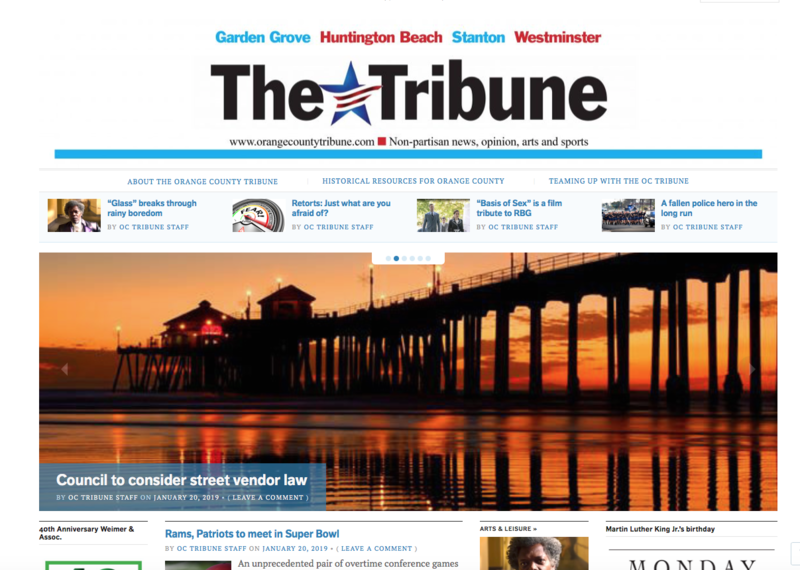 THE ORANGE COUNTY TRIBUNE is published daily online and serves the communities of Garden Grove, Huntington Beach, Stanton and Westminster in Orange County, California. Interested in joining us? 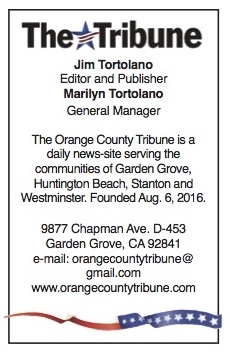 There are several ways you can be part of the Orange County Tribune experience. Is journalism a field that you may want to pursue? The Trib will accept qualified unpaid interns to write articles and shoot photographs. 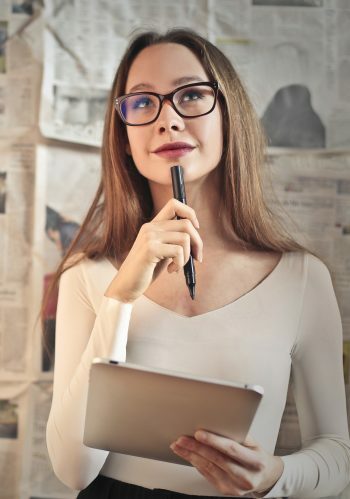 Applicants should be enrolled in a journalism/communications program at a college or university, or have recently completed such a course of study. Apply to us at orangecountytribune@gmail.com . Are you a pretty good photog who likes taking pictures of events around town? Do you shoot photos of high school athletic events and would like to see some of your best work posted with us so your friends and neighbors can see how good you are? Contact us at the above e-mail. No payment available at this time, and we would need to see some samples of your work. If you belong to a club, athletic team, service organization, charity, business etc. 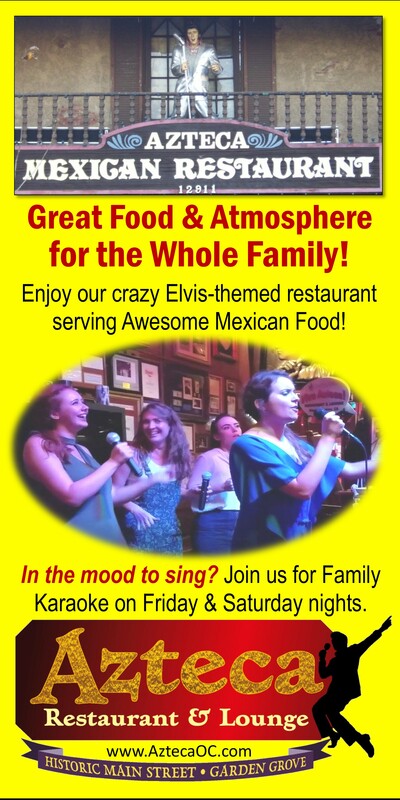 that is doing something of interest to people in Garden Grove, Huntington Beach or Westminster, consider sharing your news with us. We welcome press releases of local interest. Of course, we can’t guarantee anything, but we strive to accommodate the publicity needs of our readers. Remember to include the first and last names of anyone mentioned in your release. Make sure to list addresses of events, as well as time, day and date. With photographs, please send a clear, in-focus color image (in jpeg format, please, if electronic) with an accompanying cutline (what you might call a caption) describing what’s in the picture and naming those depicted, left to right. If you don’t have e-mail, you can use traditional mail and send it to us at 9877 Chapman Ave., D-453, Garden Grove, CA 92841. In all cases, we reserve the right to edit for length, clarity, style, etc. Coaches, parents, fans and players are encouraged to send us results of varsity high school sports games, matches and meets. Please include the first and last names of anyone mentioned, as well as key contributions and plays. Also, we need the location and date of the event, and, of course, the score and the opponent. Records, upcoming games and other details also appreciated. 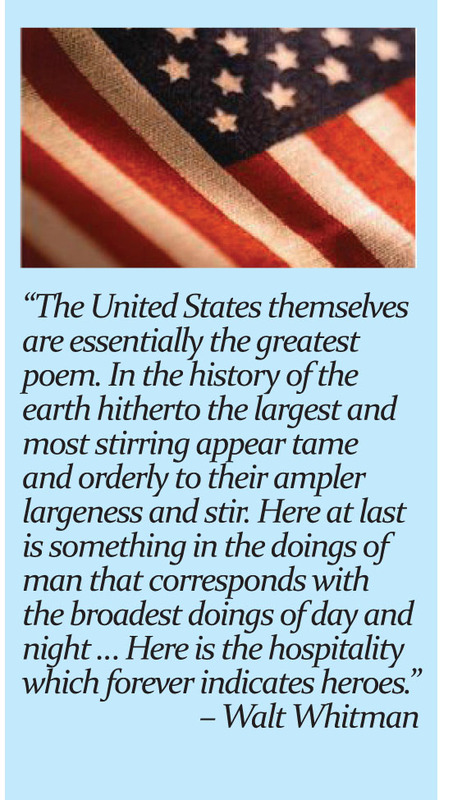 Send it all to orangecountytribune@gmail.com .